Idiyappam or string hoppers are steamed food like idli and is good for all age group people. 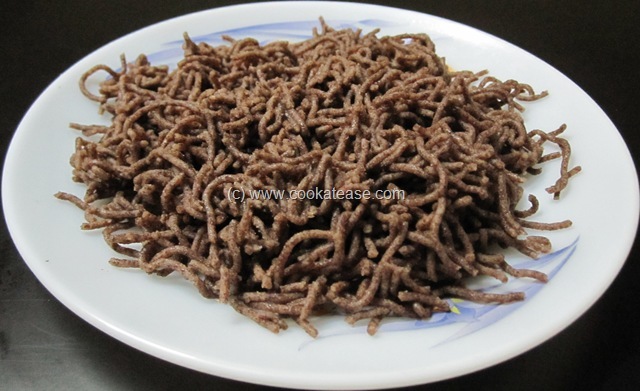 Normally this is prepared with rice but we can make it with Ragi (Finger Millet) also. You can serve with grated coconut or coconut milk or with some Kurmas or Curry. 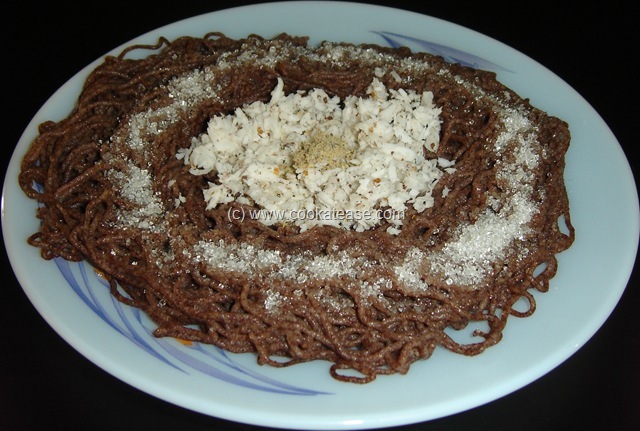 It is a healthy dish in whatever way you serve it. Ragi Idiyappam: To prepare the dough I follow any one of these two methods. 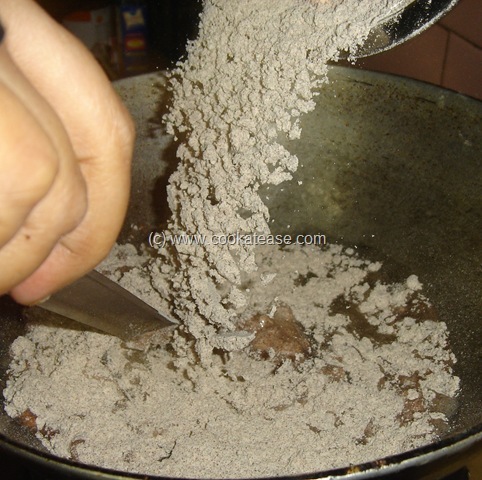 In boiling water, I mix ragi flour (with salt) slowly and stir it, by taking water and ragi flour in 2:1 proportion. 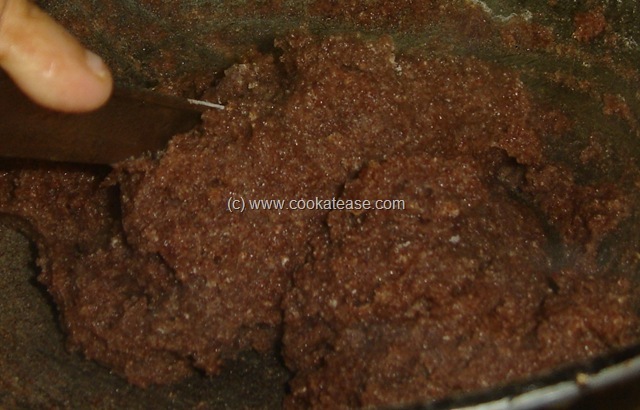 I take ragi flour (with salt) in a container, add hot water slowly and stir it to form dough like the dough I prepare for Murukku. The dough should be firm enough. 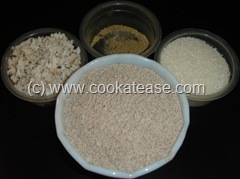 Dry roast finger millet flour in a pan for 3 minutes or till nice aroma comes out. 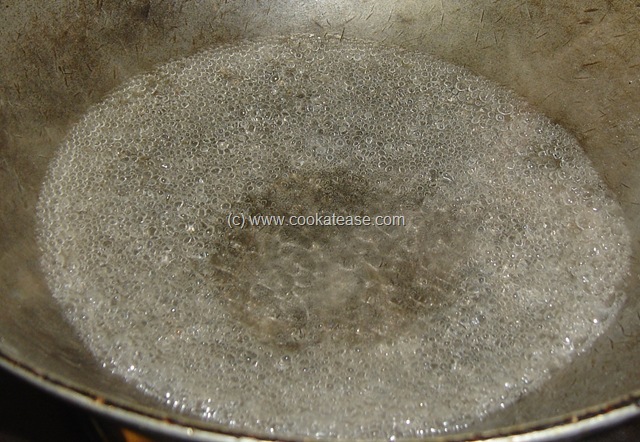 Boil two cups of water, add salt, put the flour slowly and stir constantly till to form the dough; switch off fire, cover and allow it to cool. Now apply some oil in your hand, knead the dough well; grease Idiyappam mould and grease the Idiyappam stand. Put the dough in the mould, press it over the stand and steam cook for 5 minutes; allow it to cool. 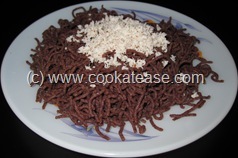 Serve with sugar and coconut. You can also break Idiyappam gently with your fingers and serve. 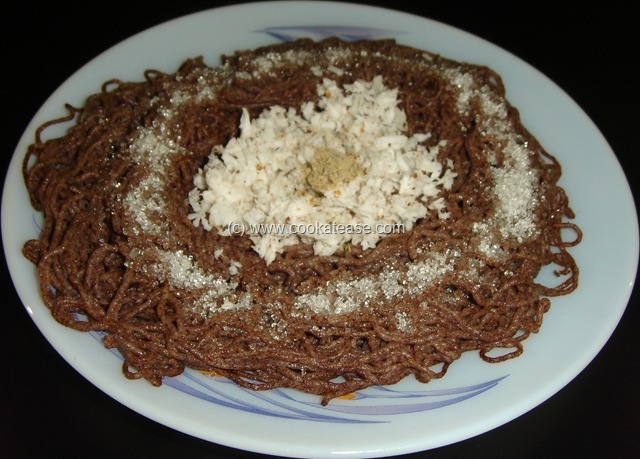 You can also serve Ragi Idiyappam in Lemon,Tomato,Sesame flavours. 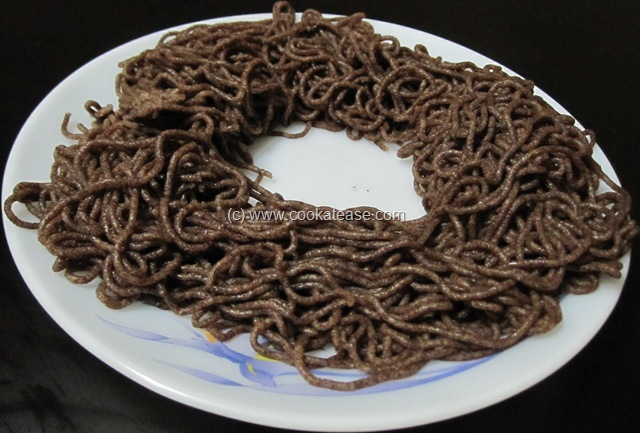 This post is part of the event “JFI – Ragi/Finger Millet” hosted by Madhuram’s Eggless Cooking. Kamala, this is such an healthy alternative for the usual rice sevai. 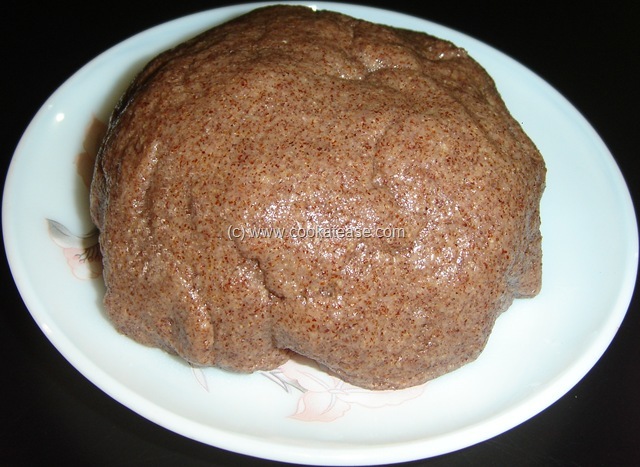 I have not tried this ragi idiyappam, but I know that I’ll be trying it very soon. Thanks for sending it to the event. 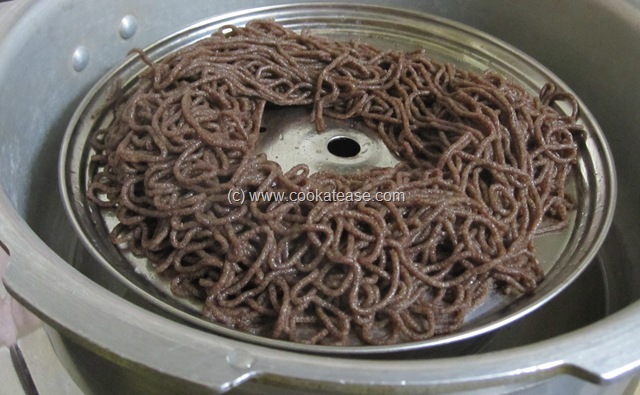 One of my favourite dish, i do it often..
Can the ragi idiyappam that has been pressed through the mold be dried (using a dehydrator or such, to remove moisture) and stored for use later in the week? I have not tried like this. I prepare freshly as and when required. I agree that using the similar process instant ragi noodles are prepared and sold in the market. Such a nice Vegetarian website! Lovely mouthwatering dishes, so easy to cook and tasty too! can you add kids’ food to your website? My daughter is a fussy eater. Would love to learn some new recipes for her. I tried this today but the raw smell is highly dominating.Could you please tell me how to avoid it.